15 year vs. 30 year mortgage revisited | JW's Financial Coaching-Giving you a new perspective on your money! When people ask me for my recommendation on purchasing a home, I always start off by recommending one takes out a 15 year mortgage instead of a 30 year mortgage. I’ve written before about the difference in cost between a 15 year and 30 year mortgage. But I thought today I would update that post with numbers from today’s interest rate environment and doing so got me to thinking what you could do with the interest savings from the 15 year mortgage over the 30 year mortgage. Let’s say you buy a home at the August 2012 median price of $256,900 using the current 30 year fixed mortgage rate of 3.62%. Over the course of the 30 year term you would pay approximately $165K in interest. Now compare it to the current 15 year fixed rate mortgage average rate of 2.91%. You would only pay approximately $60K in interest over the 15 year term. That’s over $100K difference! True, the 15 year mortgage has a higher monthly payment ($1,763) compared to the 30 year mortgage ($1,170) but you will pay off your mortgage 15 years sooner. What would happen if you took that interest saved and invested it for 15 years? By spreading the $100,000 dollars saved in interest over 15 years, you would be saving around $6,500 a year in investments. If you averaged a 10% rate of return that would leave you with approximately $225,000 in savings at the end of the 15 years. How do you like that 30 year mortgage now? What can we learn from this calculation? 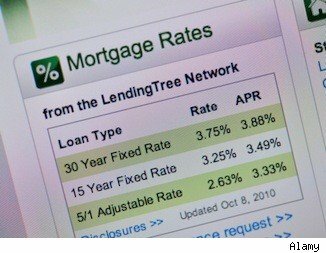 A 30 year mortgage costs you a lot more than a higher interest rate. Yes, they are the standard in the mortgage industry, but why? Because some bank discovered that marketing 30 year mortgages worked because people could buy a lot more house with the lower payment. But after looking at the numbers, can you really “afford” a 30 year mortgage? How long of a mortgage do you have? 15 year? 20 year? 30 year? Other? What made you decide to go with that length of term and are you happy with your decision? Is your mortgage really a tax advantage? This entry was posted in Debt, Financial Discipline, Financial Plan, Money Saving Tips, Mortgage and tagged 15 yr vs. 30 yr mortgage, cost of a 15 year mortgage, Mortgage, oppor. Bookmark the permalink. We have a 30 year mortgage. When we purchased our house 13 years ago, we bought into the idea that a 30 year is the “American Way”. We have always paid more than our minimum. Refinanced twice for lower interest rates, but continued to pay the same payment, paying down the principal. The 30 year has always bothered us. We hated that we would be paying for so long and wasting so much on interest. So 2 years ago we really started focusing on being totally debt free. So in May of 2014 we are scheduled to pay off our house!!!! So our 30 year will be paid off in a little over 14!! Thanks for sharing that story Melissa! You make a good point about paying off your mortgage early. If you have a 30 year mortgage but make payments like it is a 15 year mortgage, then you’ll pay it off in 15 years. Just because you have 30 year mortgage doesn’t mean you have to take 30 year to pay it off. Congratulations on paying off your home early, you’re only 18 months away.